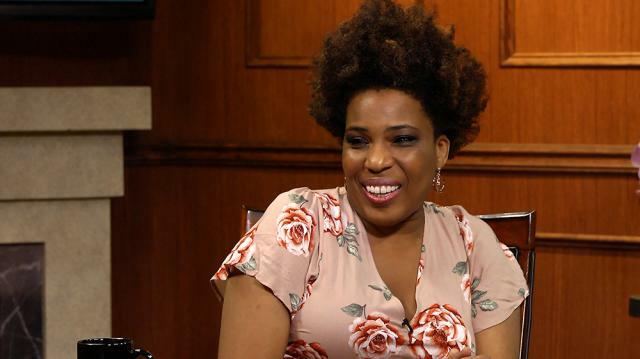 Grammy-winning singer Macy Gray looks back at the release of her platinum-selling album 'On How Life Is,' and talks the conception of her powerful new single 'White Man'. Plus, the 'I Try' hitmaker on Trump's presidency and what she misses about Obama. Larry King interviews Macy Gray, a Grammy Award-winning singer, songwriter, and actress. Gray has released six studio albums and is renowned for her multi-platinum debut album ‘On How Life Is,’ with the single ‘I Try.’ She has appeared in films like ‘For Colored Girls,’ ‘Idlewild,’ and ‘Spider-Man.’ Gray will release a new album in 2017, and is promoting her new single ‘White Man.’ Larry asks about the origins of the song, and Gray says it was inspired by a Facebook post that began, “Hey white man, I’m not my grandmother.” She talks about how racism is archaic and how times have changed. Larry converses with her about why racism still exists, and Gray believes people hate things they don’t understand. Larry asks why Obama’s eight-year presidency didn’t change things, and Gray says it wasn’t explicitly on Obama’s agenda, and that she was proud of having a black president. So Larry asks for her thoughts on the current president, whom Gray thinks has racial hang-ups, but whom she’s still optimistic about, because “if he fails, we all fail.” Larry asks Gray about intersectional feminism, and she acknowledges that black women have to work harder than white women due to their race, but that she’s never been bitter about the differences because her mother taught her to be proud of who she was. From race, the conversation moves to records. Larry asks about the release of ‘I Try,’ and what it was like to achieve fast fame. Gray responds that the biggest misconception is that it was quick, since she played for small crowds and no money at LA clubs for five years. She talks about the process of achieving fame, and how amazing she felt even when she sold 8,000 records in a week, let alone millions. Larry asks for her thoughts on the music industry, and Gray believes the key to longevity is to really love music. She says the current music scene has devalued the profitability of records and forced artists to go on tour more. Larry asks about her new album, which Gray says is almost finished and describes as wild and fresh. She confirms that she’s scheduled to go on tour when the album is released.